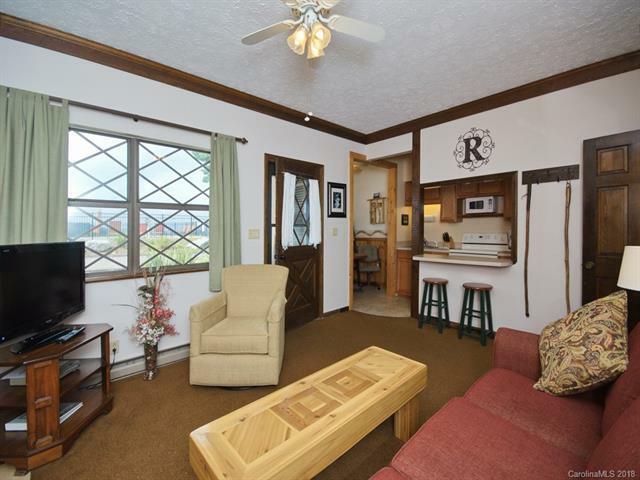 Enjoy mountain views from the 12'x15' rear deck , also a great place to grill. With a some tree trimming, the view could be greater. 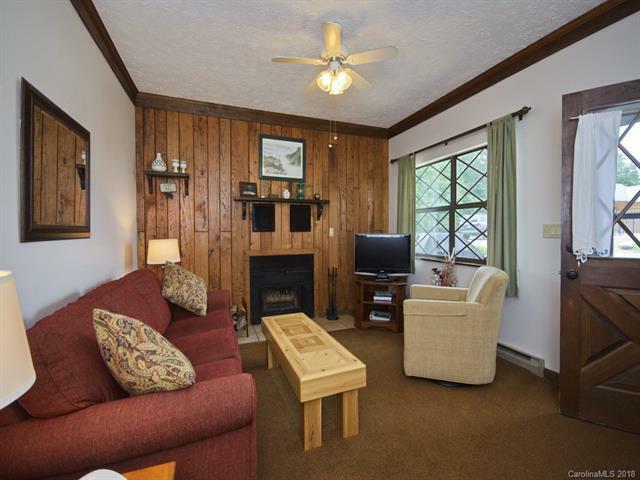 1 Bedroom, great room with vaulted ceilings and wood burning fireplace . This unit is on level ground across from the swimming pool. 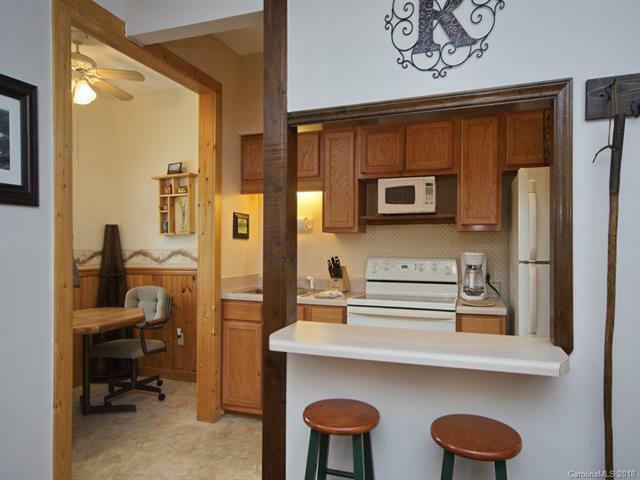 This unit comes fully furnished, even including linens and kitchenware. 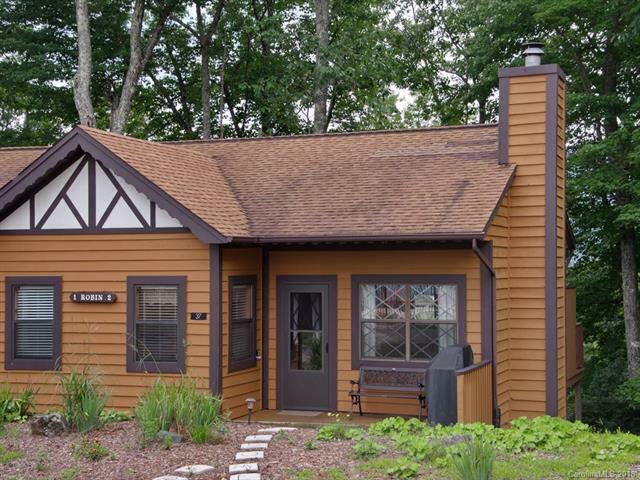 When the owners have not been in residence, they have found the cabin to be a successful vacation rental. Alpine Village is located on a mountain ridge with the village focus being the clubhouse, swimming pool and fire pit.